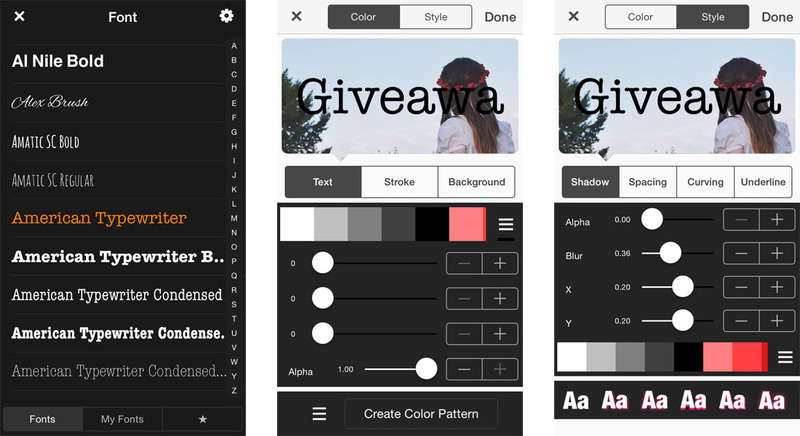 Today I'll be sharing with you an application called Phonto, I'm sure you're all aware of it, it's an extremely helpful tool in terms of hosting giveaways, or wanting to add watermarks to your photos if you're worried about them being shared without your permission! So if you don't know about this app, I hope you find this useful. 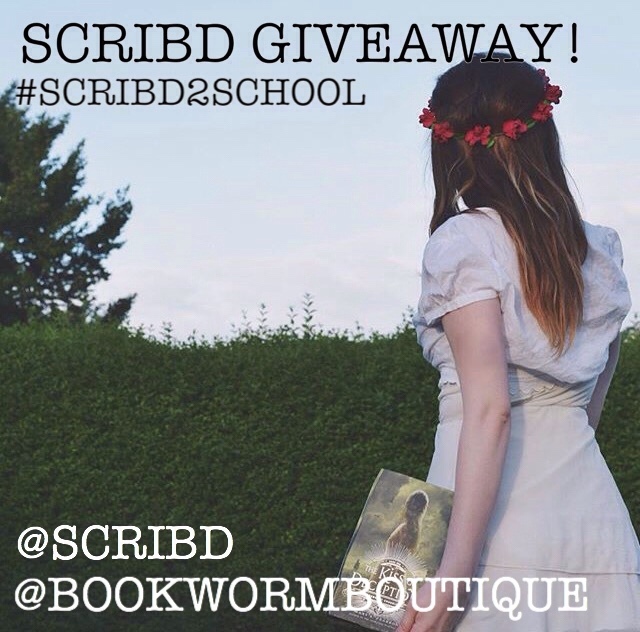 Here is an example image of a giveaway I did recently with a business called Scribd, using Phonto I added the appropriate usernames and hashtags with it, but you can use this app for a lot more than that! My lovely friend Lauren (@fictiontea on Instagram, who you should totally check out by the way) has been a doll and allowed me to use her image as my background, so I'll be continuing the theme with this image below. 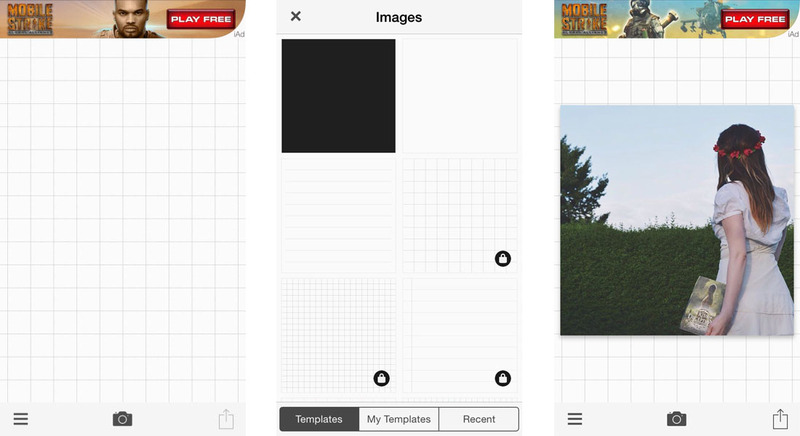 The left image below is just how the app opens, from there you can choose to open a blank template (middle image) or import your own image from any folder on your phone (right image). The templates are what I use to ask my followers questions like "Question in the caption" or when I do a rep search. They have a wide range of blank templates, some you have to pay for, but the basic ones are free! Once you have your image selected (I chose my friend's awesome photo), you can add text to it. 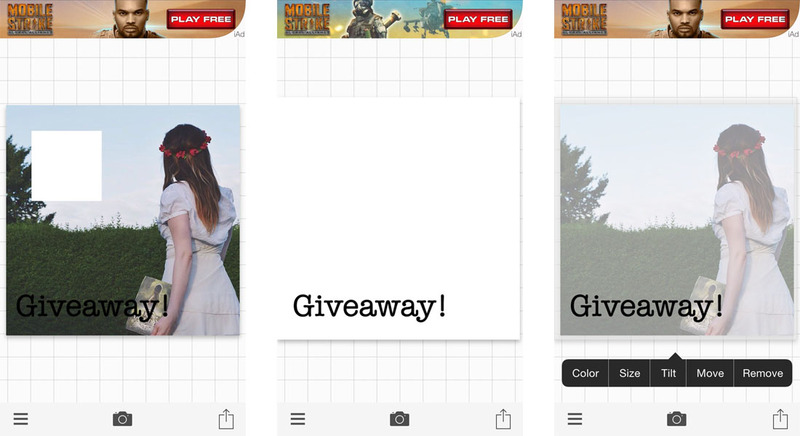 You simply tap anywhere on the photo and choose the 'text' option and the pop-up shown in the middle photo will appear. You can choose to have the text left, right, or center aligned. Once you've written your text you can choose to do a range of things with it, such as changing the font, adding a border on the text, changing the colour, giving a drop shadow, and much more. Here are some examples of the things you can change. One of the things I love most about this app is the fact that you can download and install your own fonts, Phonto will keep the separate from their set fonts, making them extremely easy to find. 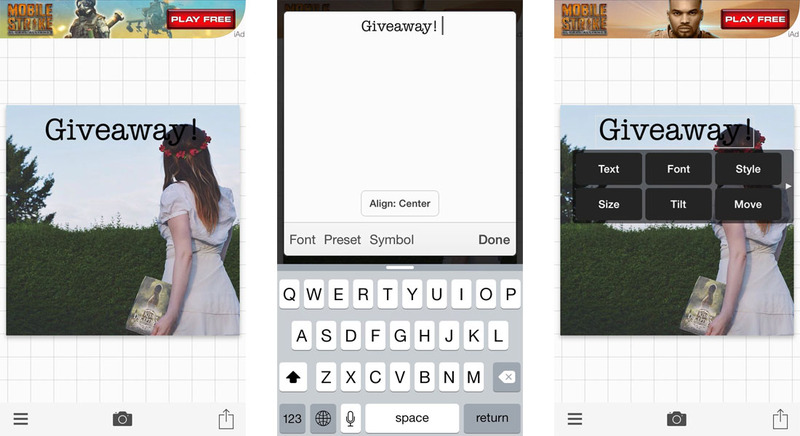 But if you're not into that kind of thing, the app comes with lots of already downloaded fonts with handy previews. What you can add to your chosen image isn't just limited to text, you can also add 'items', Phonto gives you access to four different styles of items, each style is filled with choices. 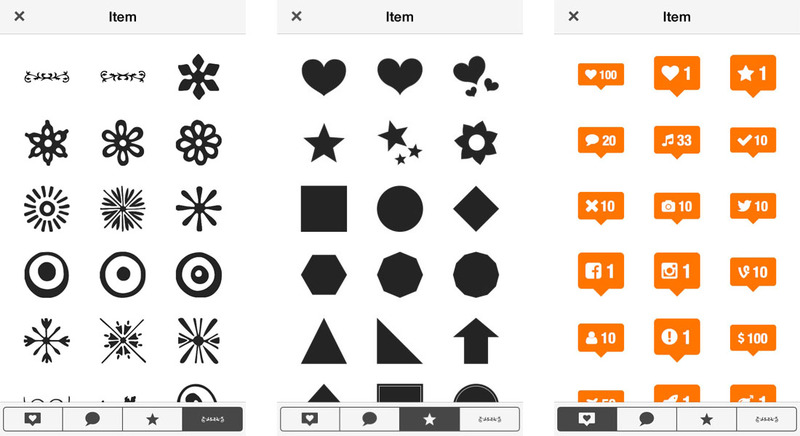 They range from basic squares, circles and triangles to decorative pieces of clip-art. These can be edited just like text, you can change the colour, opacity, etc. I'll show you how I use the 'items' below this post. When I want to tell everyone that a giveaway is closed, I usually take the original photo and then put a faded square over the top of it and then I will write "closed" over the top of it. I've shown the process below of choosing a square from the list of items, making it white, changing the size and the opacity. I hope that you've found this little recommendation/review/mini tutorial helpful! Please let me know if you'd like me to do this kind of thing again, and if so, which apps/techy things you'd like me to try. You can get this application for Apple and Android!